Spinal cord injury victims and their family members are often faced with a lifetime of medical and rehabilitation expenses, loss of income and pain and suffering. When these devastating injuries are caused by someone’s carelessness or recklessness, the responsible parties should be held accountable. 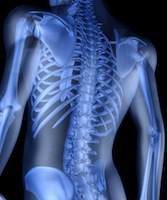 The attorneys at Lopez McHugh have been representing clients with spinal cord injuries for over 30 years. We understand the devastating, and life-long, impact these injuries can have on individuals and their families. We take a proactive approach to ensure our clients’ immediate and future needs are fully covered. Lopez McHugh will use all its resources, employing and consulting with industry-leading rehabilitation physicians, neurosurgeons, psychologists and other experts to stay abreast of the latest developments in spinal cord injury treatment, technology, research and awareness. Our experts help us understand how your injury happened and what the likely long-term prognosis will be. Our demonstrated trial experience and proven record of significant results are just some of the many reasons clients continue to turn to us in their critical time of need. If you or a loved one has suffered a spinal cord injury, please contact us online or call us at 877-737-5825 for a free consultation.